Between getting the garden tilled and ready, painting trim on the house, spring break with the kids, sickness, yard work, and getting ready to go to and speak at a blogging conference, I have not done any “amazing” projects or room makeovers :) But I have been working on a couple of secret projects. One will be revealed next week and the other may take awhile. Spring is so busy at our house! Did you have a chance to work on anything new??? I can’t wait to see what you have linked up! Thanks for hosting Stacy! Have fun at the conference. Thank you for hosting. I love all the fresh inspiration I find here! Thank you so much for hosting!!!! Have a great day!! I’m happy to be here again this week, thanks for hosting! Thanks so much for hosting Stacy! Good luck at SNAP! I wish I could be there. Thank you, as always, for the fab party!! Hi Stacy: Great party, so many projects to check out. I linked up that Lemon Raspberry coffee cake. It’s so good. Thanks for having me. Hope you have a great week. Thank you -Thank you for hosting! I linked up my easy etched glass vase! Have a wonderful week Stacy! Thanks for hosting! I just linked up. I’m also brand new to your blog and was poking around, and all I could think was, “wow!” Your bedroom DESERVES to be featured in BHG. 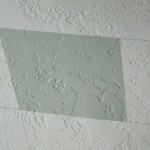 I’ve painted ceilings before and I’ve stenciled walls, and I can’t imagine stenciling a ceiling! Bravo. You seem like a pretty busy blogger, but I have blog you might like. I hope you can check it out. Thanks so much for hosting! Good luck with the conference. Are you going to SNAP? Very jealous if you are. I’m sure you will have an amazing time wherever you are going! Thanks so much for Hosting!! I am so amazed at all the talent that links up every time!! Truly amazing!!!! I am so tardy to the party! I was swamped all dern day yesterday but I finally made it to the blogosphere today. Have a fantastic trip- can’t wait to hear all about it!